Sitting and Health: Sitting Is the New… Sitting? 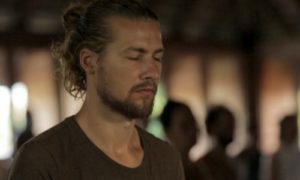 In many respects, trying to heal from sitting for long periods of time is what led me to visit the Hridaya Yoga Center in Mazunte in the first place. Like many people entrenched in modern society, I’ve spent huge chunks of my life sitting. Staring. Specifically, at a computer or phone screen. This has become the predominant posture in so many aspects of daily life. You are on the computer in order to educate yourself. You are on the computer to earn a living and forge a career. You get on a computer to entertain yourself and to escape. You may even rely on a computer or phone for the majority of your social interactions. Now, this may apply to varying degrees depending on your profession or hobbies or ability to resist the new “normal” environment. For me, it certainly became all-encompassing, and as can be expected from any kind of substantial imbalance, difficulties in my life soon followed. Sparing some dramatic details, through these difficulties, yoga found me. After I got comfortable with yoga, I begrudgingly opened up to meditation. Sitting and Health: Is the Problem Separate from the Solution? In one of the most ironically non-dual experiences of my life, I had gone on this great journey to cure myself of all the ailments associated with the plague of too much sitting, and the best medicine ended up being… sitting! I’m fond of the Albert Einstein quote “No problem can be solved by the same level of consciousness that created it.” But, can a problem be solved by the exact same action that created it? Well—yes and no. In a very crude way, sitting in meditation and sitting at a computer desk can be considered very similar. But at a higher level, important differences exist between how these two types of sitting are normally carried out. If you do any research on the subject of sitting and health, you’ll find a huge market for all kinds of ergonomic support—advice, routines, equipment, strategies. These are all finely tuned to keep your body in some “ideal” position in an attempt to delay the cycle of pain, fatigue, and injury that can result from a sedentary lifestyle. In my personal experience, however, all of these methods missed the mark, the underlying cause, the genesis of the problem: the general tamping down of the spirit that can occur when you are “stuck” at a desk, looking at a screen, for the majority of your life. It is often said that the eyes are the windows to the soul. Remember, though, that they are not a one-way mirror! The eyes are a gateway like no other and are susceptible to being polluted and strained, which can have a cascading effect on overall health. I’m not a doctor and if you are experiencing or trying to prevent posture-related maladies you certainly should listen to your own body and follow your own truth. But, I’ve found that a lot of healing can come from being aware of what I’m doing with my eyes while at my desk. What I’ve found fascinating is how my posture and my eyesight are related. I started sitting with better posture but found myself slowly leaning towards the computer screen in order to more comfortably read small text. So, if you have glasses, wear them. If you suspect you need them, or need an updated prescription, get that done. Not being able to see clearly is something that is easy to get used to, but can sabotage many other aspects of your health without being detected as the culprit. Another factor that I had previously overlooked is how the body’s systems are interconnected. The lack of mobility and increase in tension in my eyes was actually becoming strain in my jaw and neck, which, in turn, affected nerves and blood flow all the way into my arms, wrists, and hands. There are plenty of eye exercises that can be performed, but, for me, the simplest and most effective is to follow the “20/20/20” rule. This means looking at something at least 20 feet (6 meters) away for at least 20 seconds at least every 20 minutes. At first, it will probably be beneficial to use a timer, app, or browser extension to remind yourself to practice this rule because some of these patterns run very deep and it can be hard to maintain awareness when focused on a task. Something I’ve added since visiting Hridaya is combining this 20/20/20 practice with the “stop” technique. Several times a day, typically during meal times, a gong sounds and, for a short time, everyone stops what they are doing, centers themselves, and rests in awareness. I’ve found that regardless of my posture, desk sitting can be an unhealthy habit if my breathing and my attitude are not also in tune. Certainly, the breath, mind, and posture all support or defeat one another. I now use the 20/20/20 rule to not only rest my eyes, but to take a moment to become aware of my breath, focus on my spine, center in the Spiritual Heart, and cultivate Open Attention. Afterwards, I resume my task from this space of presence. This has multiplied the benefits of the practice. In the end, I realized I blamed a lot of my suffering on sitting. Then, I came to a place where I set myself free and healed by… sitting! For me, the lesson is that there’s nothing inherently wrong with sitting. It’s your breath and your mood and your posture and your awareness of subtle tensions in your body that can separate an experience that used to be excruciating, soul-sucking, agonizing, and destructive and turn it into a type of sitting that brings inner peace, freedom, limitlessness, love, gratitude, and spiritual healing. A final word of advice: If you really just want to get up out of your chair, don’t make the mistake of thinking that the opposite of sitting is standing. The opposite of sitting is DANCING! Give it a try! https://hridaya-yoga.com/wp-content/uploads/sitting-meditation.jpg 270 760 ad https://hridaya-yoga.com/wp-content/uploads/Logo-Hridaya-Yoga.png ad2017-09-25 08:30:512017-10-22 07:12:33Sitting and Health: Sitting Is the New… Sitting? If anyone is interested, this is a Google Chrome extension that I have found helpful as a reminder to take breaks when I am really focused! It is a very simple one, there are many others with more features and options that you can find, as well.